For a job done right the 1st time. Quality and Experience makes the difference. Storm damage is the biggest cause of necessary roof repairs. Proper roof maintenance will maximize the life of your roof. Providing the latest in Seamless Guttering. If you need help financing your project - turn to GreenSky. Just follow our financing link above or click on their logo. We're Getting the Water Down and Out! So what really are the advantages of seamless gutters? First, let's look at the gutter itself. Gutters are typically made from Aluminum. Aluminum doesn't rust, so they should last for a long time. There are also gutters made from materials like copper. Seamless gutters are primarily made of aluminum, but there are options for copper gutters as well. Will there be seams in a seamless gutter installation. Yes, but only at corners. The straight runs will always be one seamless piece of aluminum guttering. This is common in a seamless gutter installation. The gutter is an integral part of the home It has a very important job protecting your home. It moves the water out and away, keeping your home protected from flooding and water damage. People might refer to a traditional gutter being that which you buy in sections and then assemble joining them together creating a seam. Today, gutters are becoming seamless, creating virtually no additional point to cause wear or leak points. Seamless gutters also ad a sense of beauty to the home because it's one complete run, not sections. Graber gutters brings the material right to your home and literally fabricates the gutters to the exact dimensions needed and installs them the same day. Is there really advantages to seamless gutters? Yes there is! Seamless guttering means there are far fewer joints to leak, that will lead to wood rot behind the gutters at the base of your roof, that then leads to soffit issues, water backstopping into the soffit and potentially finding it's way into your walls. Our weather can change in a matter of minutes here in Indiana. The "joke" is that we can experience four different seasons in the same day. Having a roof that can handle that extreme type of climate change is no joke. You need a guaranteed, high quality roofing shingle with professional installation that means your homes' roof can withstand temperature, rains, winds, ice and snow. A quality roof goes beyond just the installation or replacement. There is routine maintenance that must be done to maximize the lifespan. 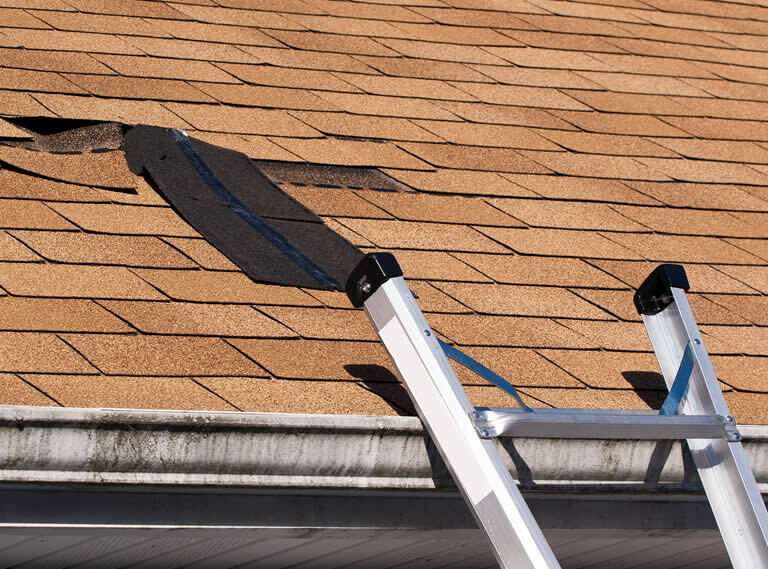 When we install or replace your roof, we'll go over all the necessary items that you should know about maintaining your roof either as a homeowner or as a commercial property owner or manager. 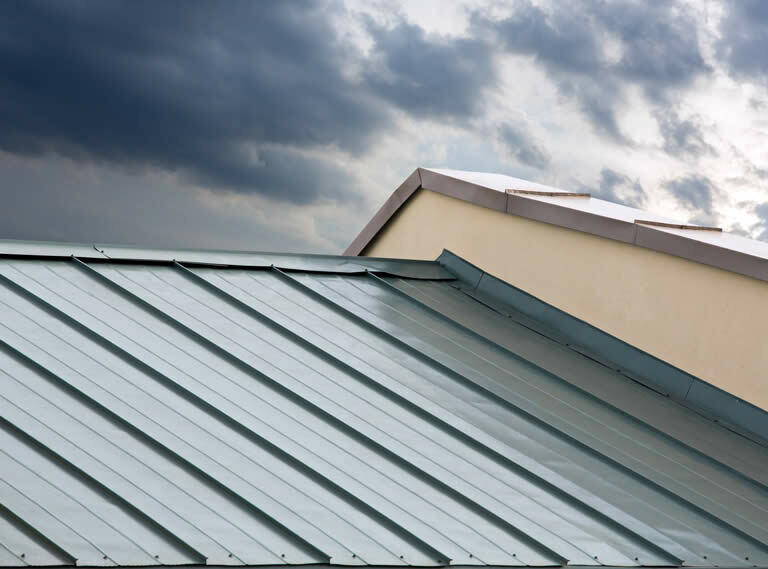 We are a highly experienced metal roofing residential and commercial contractor. 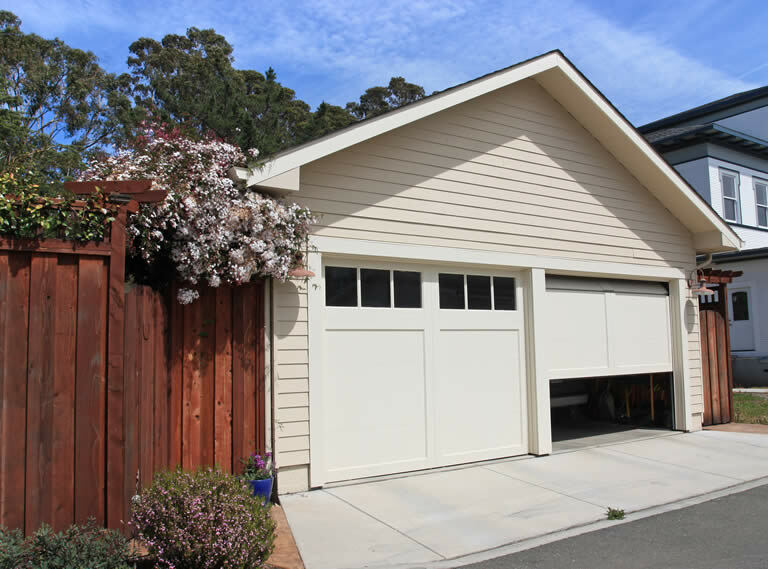 We provide turnkey garage installation services.